is the most successful sunglasses and eyewear brand to appear in the last hundred years, rivaling even Ray Ban in its brand awareness. 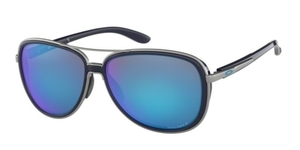 But only Oakley can boast a style that is grounded in technical perfection, style, and utility. Whether you need sunglasses, prescription sunglasses, or prescription eyewear, there is something in the large and diverse Oakley collection that is made just for you.